The Govt Jr High School Rhenock Bazar organized a cleanliness drive on joint venture with the police station, the renowned local NGO The - 10, 09-Rhenock GPU, the Golden Cross pharmaceutical company, the CHC and public in and around Rhenock Bazar today on the occasion of "The Himalayan Cleanup", a day long nation wide initiative to clean 12 mountainous states including Sikkim. 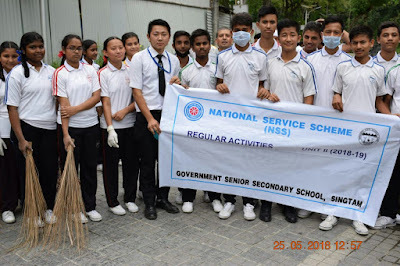 "Clean Himalaya mountains" an initiative taken by 12 different states of our country was being organised by NSS (National Service Scheme) under the guidance of coordinator teachers Mr. M.K Singh, Mr. Upendra Singh, Mrs. Girija Khatiwara, Mrs. D.K Sharma, Mrs. Rakha Pradhan, Mrs. Hansa Rai, Mr. Ram Bdr. 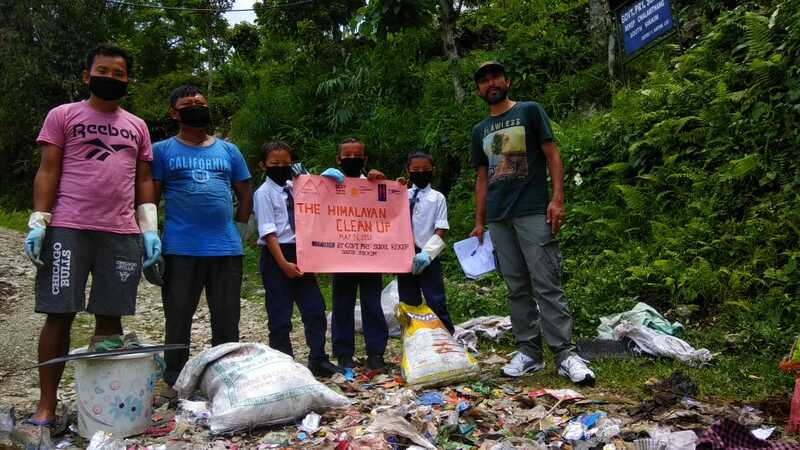 Chettri and Mr. Monu Hang Khewa, supported by SAATHI (Sikkim against addiction towards healthy India), Eco- club and sports club of Govt Sr sec school singtam with the aim to bring the growing issue of Himalayan region being cluttered. It is also being organised to bring attention on the problem of waste in the mountains, specially single use of plastic waste though a day dedicated to not only cleaning up campaign in mountains, but also in understanding what is causing the mess. 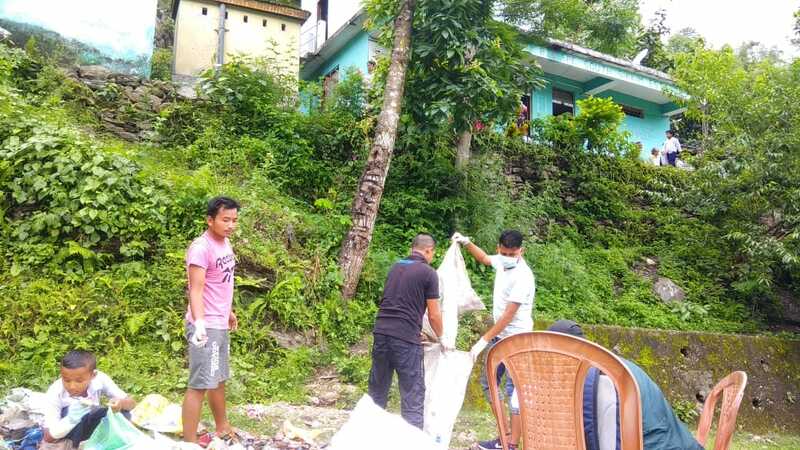 Clean up campaign was being undertaken near the walkway river side Rongnichu (singtam khola) on 26.05.18. And on the same day inter house skit competition was also executed as Saturdays house activity in a theme " Harmful effects of plastics" to make aware to upcoming generation as well. The budding rice bowl of Sikkim is geared up to become also the states first cleanest organic village.. 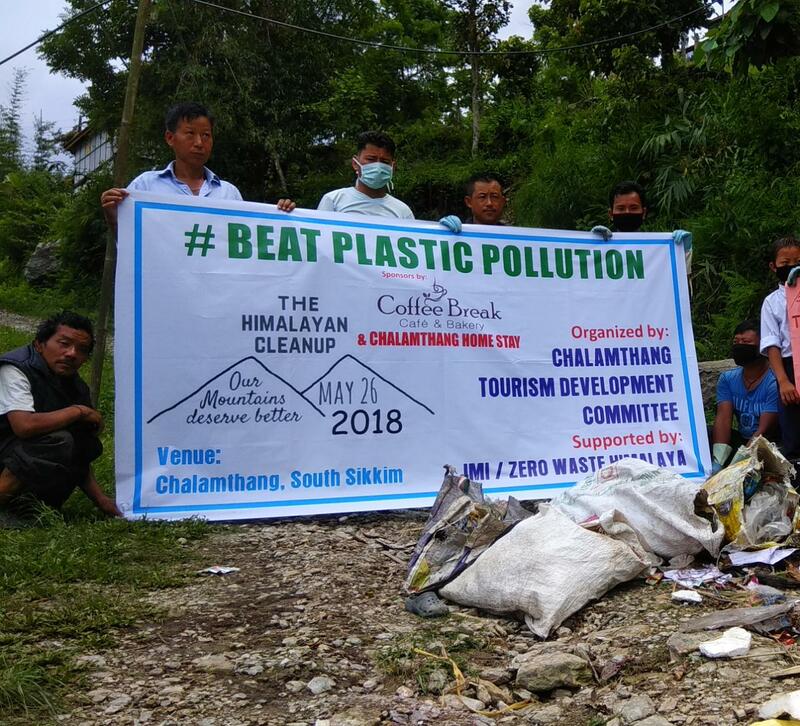 The village is committed to maintain its cleanliness standards by putting in place both preventive awareness and operational garbage dumping methods. As one good act leads to another.. It has now discovered interesting tourist spots within the village. A mesmerising view of the river below, from the woods with tall trees and a little shrine dedicated to the FORESTS. you can sit around and let the Good vibes seep in ..
2)The natural Rock GARDEN has already become a FAVORITE. A beach on the riverside, with maize fields swaying in the wind . Day picnics, Fishing , Barbecue or just hanging around. The villagers have come together and worked hard to make these spots more accessible and tourist friendly..
keeping its natural beauty intact and putting systems in place to encourage cleanliness. We hope these new routes will take Chalamthang to the next level in eco tourism and delight all our guests by bringing them close to the nature. 26-05-2018: Rekape Primary School today organised cleaning campaign under HIMALAYAN CLEANUP initiative. Among PET bottles sprite, coca-cola maaza, mineral water bottles, edible oil bottles, mirinda, Pepsi topped the list. Some 200 of them were found. 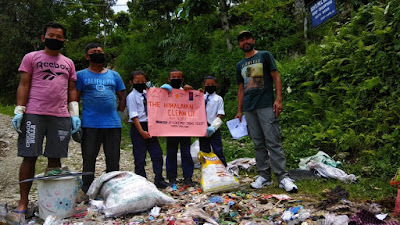 The multilayered plastics and plastic bags are kept in school for reuse. May 26: A cleanliness drive in support for Himalayan Clean Up Campaign and Environment Day - Beat the plastic was organised by Rorathang Social welfare association in collaboration with Titribotey PS and Rorathang Sec. 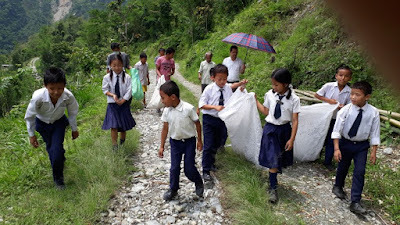 School at Rorathang Bazaar the programme was headed by ward Panchyat Mrs Anju Gajmer. 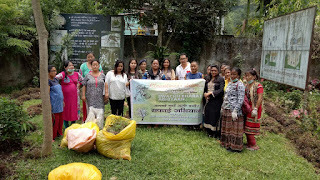 The drive was actively participated by different SHGs, workers from Cipla-II, students and local public.The ward Panchayat Mrs Anju Gajmer highlighted the importance of cleanliness drive and sensitize the local people about the negative effects of plastic waste problem which has become a global environmental issues. she also decided to do the same in days to come to bring awareness among people for better clean and green environment. 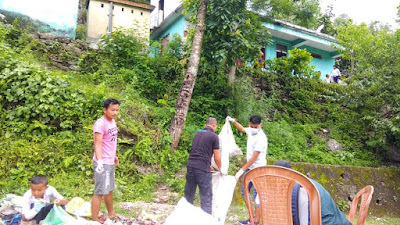 The programme was concluded after cleaning the bazaar and Rorathang PHSC. 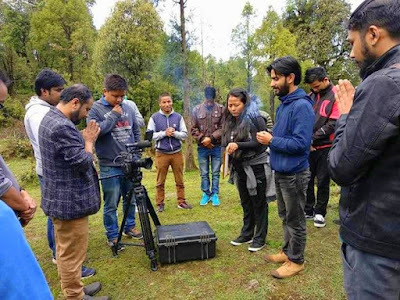 Singtam, May 16 : Nepali Horror film 'Rahashya' begins it's second phase shooting with a picturization of a song at Fushrey Lake. Famed Actor Deepak Sharma along with lead actress of the movie Januka Sharma and host of supporting actors faced the chilling weather at Fushrey Lake. 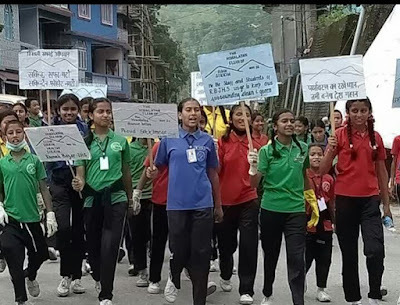 The song 'Jindagi Jewnu' sang by Dinesh Dahal is a trekking song composed by Kshettri Raaz and written by Angel Tshering, Chief Assistant Director of Rahasya. Director Arjun Chappagai gave his satisfaction over the song picturization. Chappagai said we waited for this particular season and our patience did not went waste. The film hopes to get released by coming winter, added Chappagai. 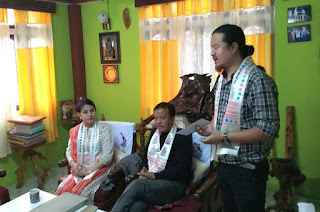 Angel Tshering, Chief Assistant Director of the movie told the film making in Sikkim has changed over few years. The talents here are very competitive and eager to shine, she added. Sikkim born, Tshering has recently come up with two short movies from Mumbai. Her second project 'Shadow of Water' is scheduled to be screened at International Short Film Competition at Spain. She was also associated with popular TV show Crime Patrol and Savdhaan India as Assistant Director. Rahashya team that were at song shoot included Deepak Dhakal, Karma Tshering Lepcha(annum), Januka Sharma Rizal, Jeewan Koyu, Amir Gurung, Puja Kadel, Bikey Agarwal, Ajay Biswakarma, Ajoy Guragai, Arjun Baniya, Yugal Darjee and Manisha Chettri, adds the press release. SINGTAM, May 08 : Sikkim Philatelic and Numismatic Society held its General Meeting at Rhenock on May 6. 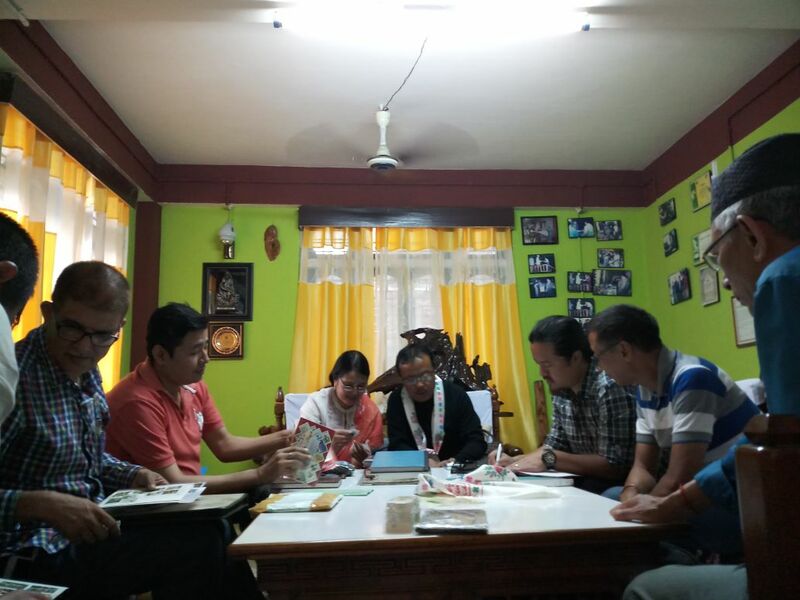 The meeting was first for the new year and many important talks on the development of the hobbies in the state was discussed at Ganesh Pradhan, President SPNS’s residence. 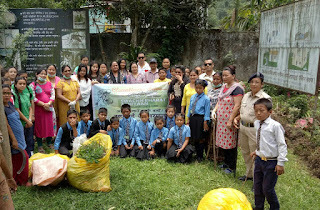 Present on the occasion was Anand Yonzone, Director, North Point Academy and Mrs. Nilema Yonzone both from Darjeeling, along with members of SPNS from Darjeeling, Siliguri and Sikkim. Anand Yonzone chaired the meeting that decided to work on different plans for the year 2018. Some important matters included display of philatelic and numismatic exhibits at different places of Sikkim, philatelic workshop at different schools, membership drives, celebration of SPNS’s 12th anniversary. Shital Pradhan, Secretary, SPNS was the host of the day. Ganesh Pradhan, President, SPNS gave the welcome speech. On the behalf of SPNS, Pradhan congratulated Roshan Prasad and Vivek Yonzone for their Silver medals at INPEX 17 held at Mumbai. Prasad was also congratulated for his Silver Medal at Dubai Stamp Exhibition. 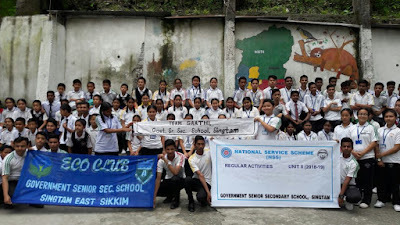 Vivek Yonzone, member of SPNS informed that he has initiated an organisation at Darjeeling named as Alpine Philatelic and Numismatic Society. The said Society will work along with Sikkim Philatelic and Numismatic Society as sister concerned, added Yonzone. He also handed over an invitation letter to Ganesh Pradhan, President, SPNS to participate and support at their first philatelic and numismatic exhibition to be held at Hayden Hall, Darjeeling on June 1 -2, 2018. Padam Parajuli, member SPNS gave the vote of thanks towards the end of the meeting. 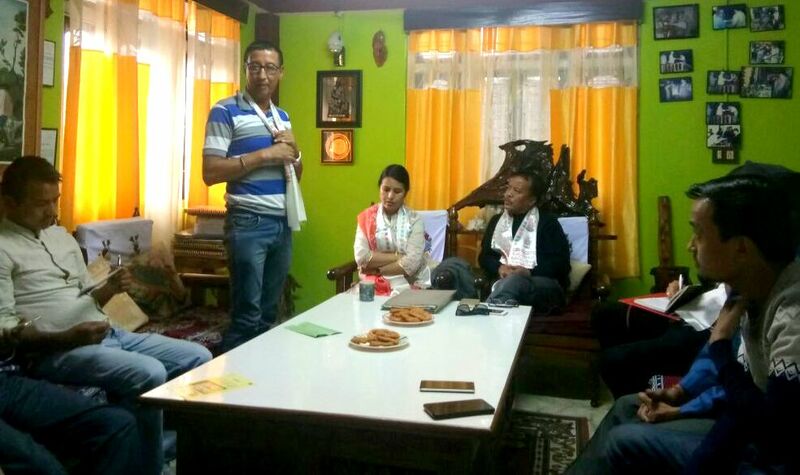 Other members to attend the meeting included Deepen Pradhan, Ruben Pradhan, Sumit Gurung.